I've been grateful for guest posting lately because it's been keeping me in the blogging game. Today I'm over at Or So She Says sharing some of my favorite ideas for your kids' Thanksgiving table. It must be the teacher in me, but I love excuses to decorate for the little ones! Come and visit me here for all the fun ideas I have to share. 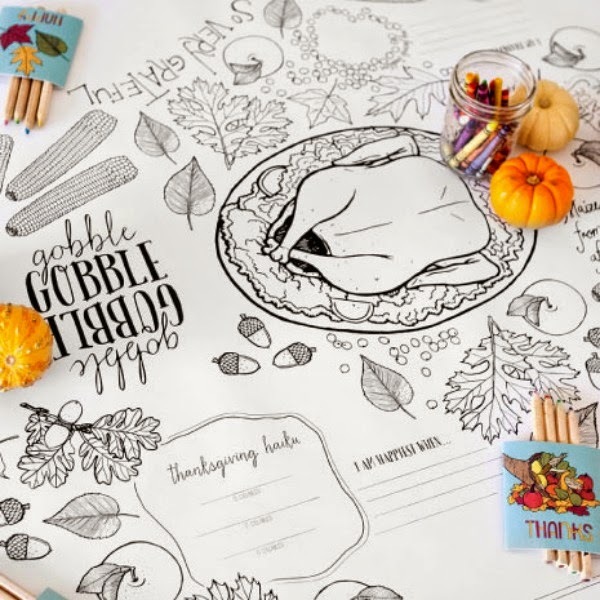 A few of my own, but a lot of great ideas from others, like this darling printable Draw Together Thanksgiving Set from Caravan Shoppe. I'm in LOVE! Thank you so much for your awesome post. As I can guess this is a art of mind. The work has done smoothly & the creator are also professional. Thank you so much for your great job. Creative work. Thanks for sharing with us. Thanks Brooke for share thanks giving idea. So nice idea share. I will try next thanks giving day my all clipping path service company member give like gift.